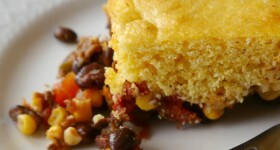 This post was inspired by the International Delight Whats Your ID campaign! There are so many flavors to choose from, do you have a favorite? Tell International Delight by creating a flavor profile at www.whatsyourid.com and you could win some amazing prizes like a International Delight for a year, gift cards and more! There’s nothing like a creamy cup of coffee in the morning! 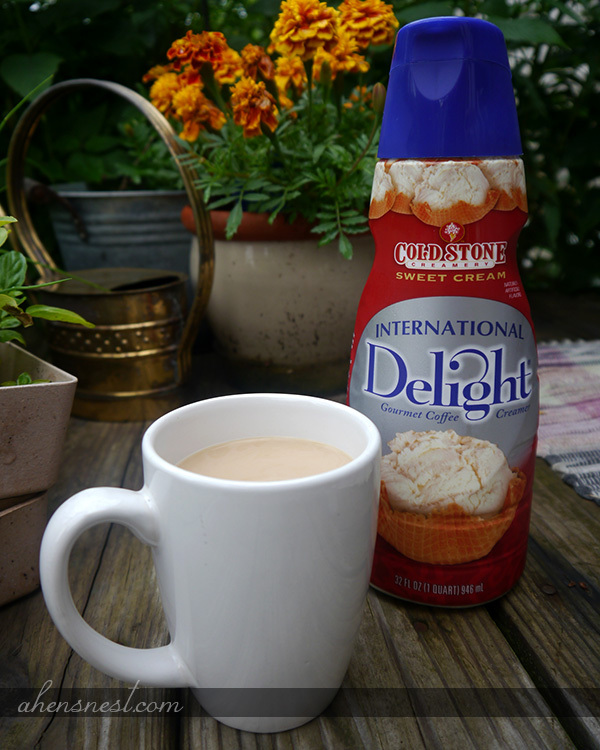 Most days, I use my favorite flavor of International Delight to add a little something special to my morning cup of coffee or chai tea — Cold Stone Creamery™ “Sweet Cream” is my ID flavor of choice! I love that this flavor is so versatile and I can use it not only in my coffee but in recipes, too. My daughter and I like to make french toast using Sweet Cream in place of the milk — talk about a yummy way to wake up! Once the creamer container is empty (that happens too often! ), it’s also fun to recycle it into something useful. 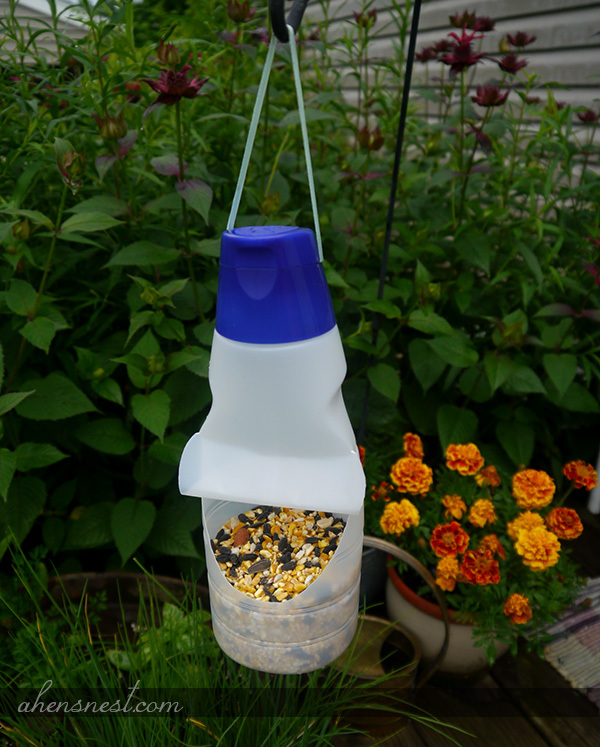 We recently made a really simple bird feeder using the latest empty International Delight container. To make our feeder, I just followed the curve along the flat part on the back of the container and used an exacto knife to carefully cut out an opening large enough for a small songbird to fit through. I folded the flap up and out a bit to create a mini eave that will help rainwater slide away from the cup. I also poked a few small holes in the bottom of the feeder so any rain that does get in, will drain off. You don’t really need a perch, we liked ours without. If you would rather have one, use a paper punch to make a hole about 1/2″ down from the opening and insert a small dowel or even a colorful pencil into the opening. I would use a hot glue gun to attach the rod to the inside back of the container so the birds have a sturdy resting place. To hang the feeder, I knotted a long piece of ribbon, placed it under the cap and used a hot glue gun to seal the cap. We liked ours plain but if you’re feeling crafty, you can use paints, stickers or even colorful duct tape to decorate the feeder — I’m sure the birds will enjoy it! Create a #whatsyourid flavor profile for your chance to win! What’s Your ID? International Delight is looking for their most passionate flavor fans. Put your ID on the map to enter to win a Magical Trip, play games and discover more unexpected delight. Share your ID flavor at . 4 Greener Gardening Tips - Join SCOTT Naturals 4-Week Test Drive! Five Unique and Awesome gifts for Dad - all under $50!